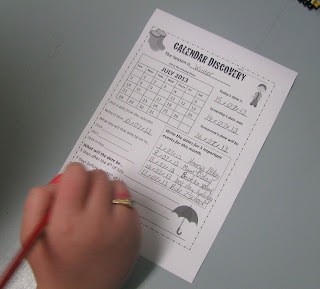 Even though it was halfway through July when we came back to school, we have been completed these "Calendar Discovery" tasks throughout the year, and so this month was no exception. 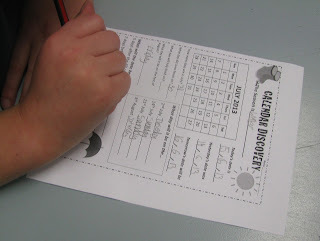 Our first maths lesson after holidays was looking at the months of July and August. Even though I teach Grade 3 and 4, the children are still struggling with the concept that if July ends of a Friday, then August must start on a Saturday - an everyday concept for us I guess, but not for them. 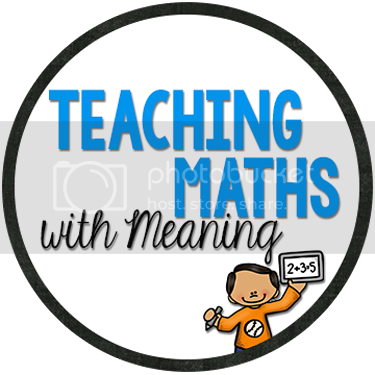 We had made the assumption that the children had learnt this concept in younger years so we have been "doing calendars" more often. I have a Grade 3 sheet and a Grade 4 (or extension) sheet. 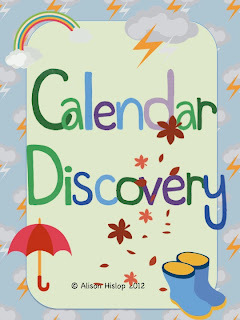 Both are included my Calendar Discovery - A Monthly Calendar Task pack. I have two packs, one for the remainder of 2013 Calendar Year and one for this coming 2013/2014 School Year. As some of the months have already past, both packs are heavily discounted! This is a great set of worksheets, simply print off, photocopy and use at the start of every month. You are 100% right about them still having a hard time with some calendar concepts. Mine have a hard time with questions like, what will the date be 5 Mondays from now, since they have to move months, and going backwards, ugh!! I really like this idea! The product description says 2nd-3rd grade, but you said you have a 4th grade version? Is it the same one? Thanks for bringing this to my attention. The first activity is more suited to 2nd/3rd Grade, but the extension is definitely 4th Grade thinking. As I teach a combo class I have to make activities that have a challenge aspect! I have updated the file on Teachers Pay Teachers.